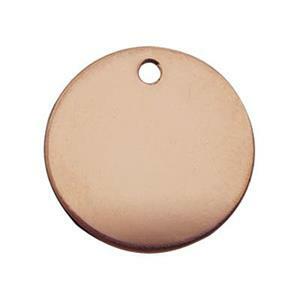 Round rose gold filled stamping blank with 11mm diameter that is large enough to fit complete initials or an inspirational word. Light 24 gauge material makes this blank affordable and still stampable. Or, use it as a simple geometric dangle. Circles never go out of style.